Though typically ambivalent toward superhero movies—and though “Spiderman: Into the Spider-Verse” wasn’t exactly the most gripping display of cinematic poignancy I’ve ever sat through—one thing stuck with me as I exited the popcorny milieu of the theater: Whose idea was it to make this soundtrack the coolest release of 2018? As the synergy between the film and the album contributes greatly to the former’s quality, immersing yourself in the “Spider-Verse” soundtrack proves tantamount to the viewing experience. 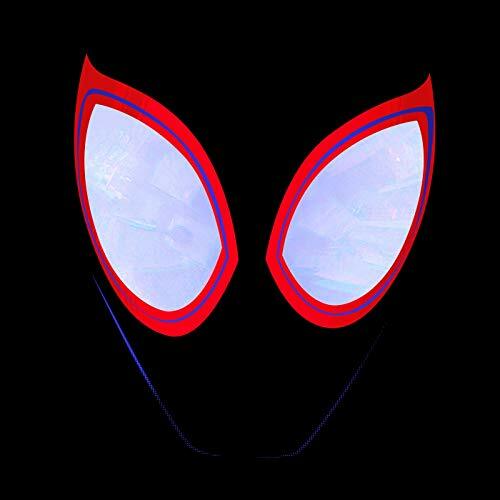 The album’s introductory track, “What’s Up Danger,” performed by Blackway and Black Caviar, is certainly a highlight, marked by punchy doses of trap and a bridge that mirrors the lows faced by Miles Morales himself. The kitschy millennial-whooping hype anthem, “Way Up,” performed by Jaden Smith, immediately followed by the phoned-in Nicki Minaj, Anuel AA and Bantu collaboration “Familia” sit uncomfortably between songs of actual quality on the soundtrack, marking the album equivalent of a mid-film bathroom break. The album luckily picks up the pace with “Start a Riot,” a simmering shouting match between Duckwrth and Shaboozie. The track is like the musical equivalent of being curb-stomped by a gang of gummy bears. Juice WRLD’s flow on the Seezyn-collaboration, “Hide,” may make him sound as though he took a Nyquil before entering the studio, but the track increases in quality significantly when a discernible pulse is added to the backing track during Seezyn’s verse. A major improvement on the musical blueprint established by its preceding track, Thutmose’s “Memories,” seemingly renders “Hide” useless by being faster, having more well-delivered verses and possessing a discernible chord change or two. The Lil’ Wayne and Ty Dolla $ign collaboration “Scared of the Dark” features a headstrong chorus rivaled only by “Sunflower” in the sense that both will likely be lodged in your head by the denouement of the soundtrack’s 42 minutes. Acquired-taste Lil Wayne delivers a characteristically strong verse helped by the soundtrack’s greatest musical achievement, that being some befittingly triumphant backings. The late XXXTentacion meets the song’s quality perfectly, showcasing the rapper’s ability to keep up with established legends like Wayne. Vincent Staples’ “Home” closes out the soundtrack on a high note, an ending befitting to the film itself, containing an atmospheric and otherworldly backing track that steals the majority of Staples’ thunder. “Home” is the song that every other track on the album aspires to, a song that perfectly encapsulates the concept of a superhero in a neatly packaged 3 minutes and 31 seconds of bliss.